October 2018 - American Limousines, Inc.
Everyone knows that bachelor parties have something of a reputation to uphold. Some of the best and wildest parties out there, a bachelor party is guaranteed to be a good time for the entire groom’s party. But how can you be sure that your bachelor party is going to measure up and meet the high expectations? 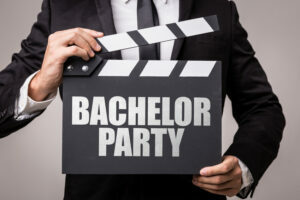 Here are a few tips and tricks you can use to make sure your bachelor party is unforgettable and one that people will be talking about for years to come. Communicate and plan ahead: Whether you have just a handful of guys or the whole crew for your bachelor party, it’s essential to make sure everyone is communicating and knows exactly when everything is happening. Pick a date early to make sure everyone has time to clear their calendars. Pick the right activity: A lot of bachelor parties will go the classic route of party buses, drinking, and clubs, but that environment might not be for everyone. Pick something that you know the groom is going to enjoy that the rest of the party can still have a good time with. Figure out transportation: For most bachelor parties, you’re going to need someone to drive you and your friends around since there’s a strong chance most people aren’t going to be sober. Even if you don’t want to rent the Midnight Rider (the world’s heaviest limousine and a nightclub on wheels), having a way to all ride together is a good idea. Rent a mini bus or rent a limo, depending on the number of people you have. Limo services will make sure that everyone gets where they’re going safely and in style. Looking to make your next big party or event unforgettable? Looking to travel in style? Contact American Limo to rent a mini bus, limousine, van, party bus, and more to make your next event one to remember. While many Americans think of renting a limo as a luxurious special occasion, the reality is that nearly 50% of limo services are provided for corporate customers during the week. In other words: using a sedan cab service is relatively commonplace for many professionals. But how do you go about choosing the right one? With so many sedan services to choose from in your area, you’ve got to do your homework and perform some evaluations to find the perfect fit. Here are a few tips to follow. In the digital age, there’s a wealth of information available online. Be sure to check out each sedan service’s website (including customer testimonials) and assess whether there’s really enough information provided. In addition, you’ll want to conduct a Google search for each company to see what comes up. You should see reviews on Google My Business, Facebook, and reputable sites like Yelp that can tell you whether or not you should contact the company to find out more. If you see a lot of red flags (like a lack of info on their site and numerous negative reviews), keep looking. But if everything looks to be on the up-and-up, you can proceed. Don’t assume that every car service will be able to provide the vehicles you want. 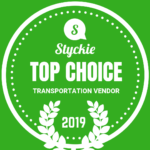 Some companies have a relatively limited vehicle fleet, while others have a more impressive repertoire of limos, sedans, and even minibuses. The type of vehicle you require may depend on your budget or the size of your travel party. Be sure to ask each company about the type of vehicles they offer, how old they are, and their condition. You are well within your rights to ask if you can view the vehicle(s) first before making any kind of commitment. This can provide peace of mind that the company you choose is legitimate and well-regarded. To ensure a totally enjoyable experience, you’ll need to ask about the specifics of your Baltimore sedan service. Is this company able to provide airport transportation as well as a means to navigate all around the city? What kinds of other amenities do they offer? And can they accommodate the size of your party or provide accessibility to anyone with disabilities? These are important questions to ask before paying for your transportation. If you fail to make the right inquiries, you might be stuck with a subpar ride. 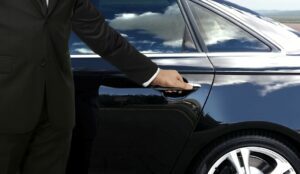 Some experts will tell you that it’s important your sedan service have chauffeurs rather than mere drivers. This distinction may not be shared by every company, but it is important that you find out more about the individuals who are in charge of transporting you from point A to point B. You’ll need to find out whether these drivers are independent contractors or true employees. You’ll also want to ask about their training and safety records and find out more about what insurance covers. Essentially, the drivers employed by a given company will say a lot about the company itself. It’s important that your sedan service takes pride in itself and promote the best safety standards in the business. If you’re satisfied with the quality of the vehicles, the drivers, the amenities, and the reputation of your car service, you’ll probably be in good shape to come to an agreement for your corporate needs. To find out how we can be of assistance for your next conference or special event, please contact us today.